The increasing flood of Lithuanians shopping in Poland has given birth to a range of new enterprises across Lithuania and the surprising possibility of another shopping destination developing. Some enterprising Lithuanians have begun offering shopping trips to Poland from the farthest corners of Lithuania, while others have begun importing Polish goods from Poland to Lithuania both on-demand and online. The Polish central statistics office reports that foreigners spent about €2 billion (8.9 billion zloty) in Poland during the last quarter of last year, which was 16.6% more than during the same time last year. Both Polish and Lithuanian authorities have recorded a growing tendency among Lithuanians to travel to Poland to shop. Polish data shows that Lithuanians made up 4.4% (€92 million or 391 million zloty) of this total spend by foreign shopper. Had this money been spent in Lithuania instead of Poland, the Lithuanian government would have received an additional €16 million in VAT. Lithuanian politicians, concerned by the lost taxes, have begun discussing the opportunity to reduce the VAT (currently at 21%) for certain products. Polish VAT rates stand at 23%, but some products attract a reduced VAT rate of 8% or 5%. When Lithuania joined the European Union, it opened its doors not just to the free movement of labour but of products as well. As the zloty has become even more attractive to buyers with Euros, more and more Lithuanians have recently become interested in trying out this Lithuanian fad. This has had an effect on Lithuanian’s patterns of shopping in Lithuania as well. 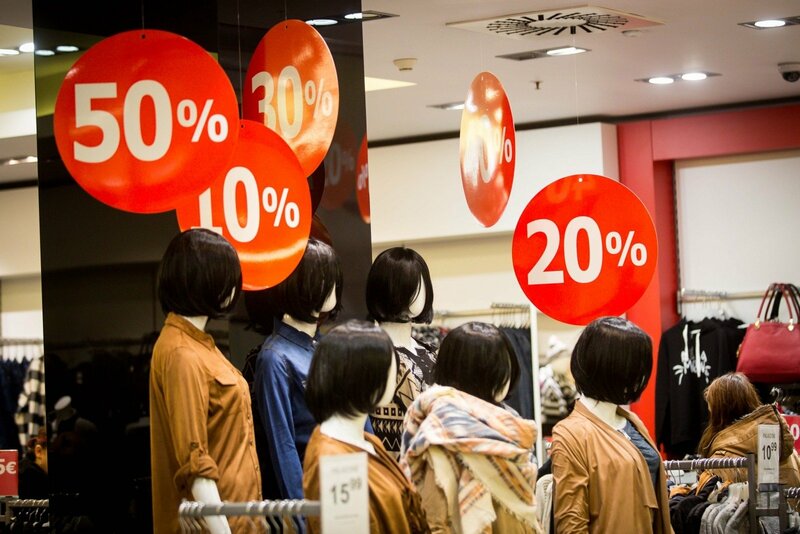 Those who see big price differences, instead of shopping frequently in Lithuanian shopping centres, have chosen rarer but larger shopping trips to neighbouring Poland. With growing demand, new services have popped up. “We'll take you shopping in Poland” advertisements have begun popping up on Lithuanian websites. But do all of the people interested in this opportunity actually intend to go through with it? 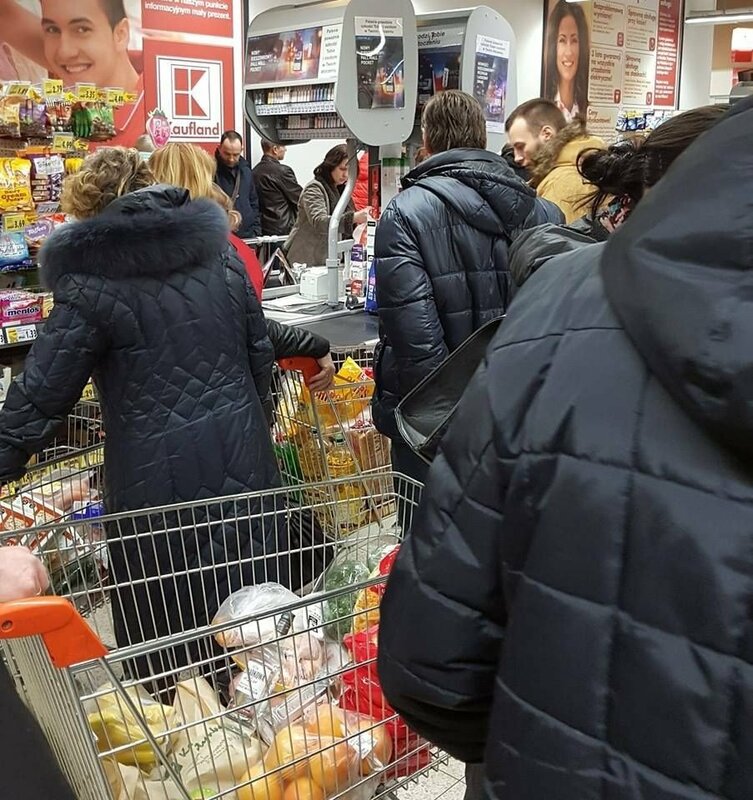 After he read about the new trend of driving to Poland to go shopping, Aidas, who lives in Klaipėda, decided to see whether this new phenomenon could earn him more money. Several weeks ago, he posted an online advertisement offering eight places in a passenger van headed to Poland and back again. “As far as I've heard here in Klaipėda, people are going by the busload, so I placed an ad to see if I could get some people and make some extra money,” said Aidas. He says he has received numerous calls and is planning his first trip to Poland this week. He also said that, while waiting for his first clients, he also got the idea to start transporting products from Poland to Klaipėda for clients who had ordered in advance. However, Aidas also said that he had not yet headed to Poland to shop for himself, and said he wouldn't shop there even after taking passengers there. “I can afford Lithuanian products. I think they're better,” he laughed. The story of Arūnas from Panevėžys is quite similar to Aidas'. Arūnas had also recently posted an online advertisement to take people to Poland. “We're just trying it out. We have a lot of passenger vans, so we thought, why not try it,” he said. However, his outlook was not as positive as Aidas'. Arūnas said he has only received three calls from people in Panevėžys and Kėdainiai during the last month. “As a service provider, I think the problem is probably the price of the service,” said Arūnas, who was offering a trip from Panevėžys to Poland and back again for €20. He also believed that cooperation would make the situation easier. According to him, if eight of his neighbours were to agree to go to Poland together, they would immediately fill the passenger van. Individually negotiating the best time with different passengers would be much more difficult. Companies offering the delivery of goods from Poland have also started popping up in response to this new trend. The Jumper online store began operating a couple of months ago. Andrius Mikuta, one of its founders, said that he had begun working on the business idea near Kaunas a year ago. “We saw a clear difference: due to both currency differences and to the products themselves. I'd always hear from my colleagues that some products' prices were different by more than 100 Litas,” said Mikuta. His online store offers clothing, shoes and electronics. Mikuta also said he had considered transporting food from Poland, but that he wasn't sure this would have paid off. Mikuta also noted that Lithuanian prices did not differ much from Polish prices when food was on sale. However, he did also say that Polish stores often featured a wider selection of products. Business is good for Mikuta, however: he said that his clients had expressed interest in everything from construction materials to clothing and electronics. He says he has also received inquiries about buying furniture. As this shopping trend grows, Mikuta has noted that his is not the only business offering this service. 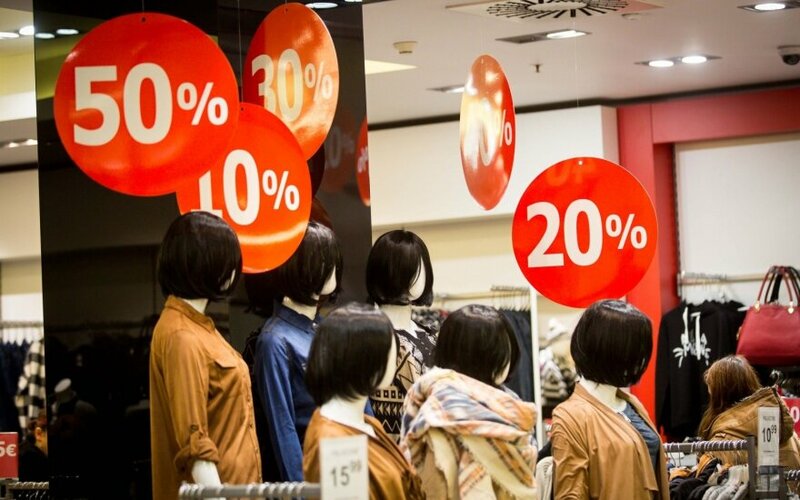 Jekaterina Rojaka, a senior economist at DNB Bank, believes that the intense flow of Lithuanians to Poland would only shrink if the exchange rate between the Polish zloty and the Euro were to become less favourable for Lithuanian shoppers. “This could be influenced by Poland's political decisions, because all of the populist decisions that were made had an effect on the exchange rate,” the economist said. She also said that the strengthening of the Zloty against the Euro would not change the fact that Poland is a large country that could take advantage of the economies of scale. “Polish producers have certain advantages over Lithuanian producers. On the other hand, Lithuanian producers also have their own advantages and offer their services to Polish people and companies. Our primary advantage is a quick reaction time: we can produce more quickly and we are more flexible,” said Rojaka. When asked about how Lithuania might consider stopping this trend and encourage Lithuanians to spend their money in Lithuania, Rojaka said that Lithuanians weren't the only ones going to shop in Poland – that this was a trend among German shoppers as well. “We're also trying to attract clients, to whom we can offer less-expensive products or services (like medical services, for example). We're also trying to use our advantages. The reduction of the VAT wouldn't change two main things: the currency exchange rate and the economy of scale in Poland,” said Rojaka. Rojaka believes that the trend of Lithuanians shopping abroad would only strengthen, and that Lithuanian producers must increase their efficiency and investments, thereby reducing prices. She also said that larger individual incomes could also weaken the trend. If the border controls with Belarus were laxer, a similar boom in cross-border shopping could hit the Lithuanian economy. "In terms of new businesses, we can see that the world is changing and globalisation is seen through increasing purchases online and the shipping of goods from abroad. Of course, not everyone has mastered online shopping and it has not affected all products but there are already a lot of goods [bought online] imported from the UK and other countries,” said Rojaka. Can Lithuania compete with cheaper Polish produce?